Diong Chew Yuen (second from right) and her team consisting of Look Chun Tat (rightmost), Hii Gee Mei (second from left) and Rashwin Loke Yew Han (leftmost) celebrating with the trophy and mock cheque. 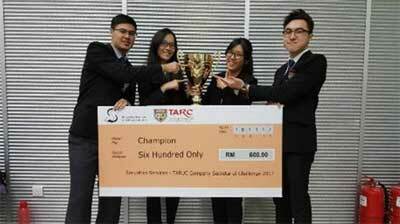 2 teams from TAR UC took the inaugural Securities Services TAR UC Company Secretarial Challenge 2017 by storm when the teams won the Champion and 2nd Runner-up spots respectively. Held on 18 November 2017 in TAR UC Kuala Lumpur Main Campus, the competition was organised by Securities Services Holdings Sdn Bhd and total of 16 participants took part in the competition from 2 institutions of higher learning. The objective of the challenge is to gauge participants? knowledge on the Companies Act 2016 and to test their abilities in effectively applying the Act to real-life cases. In line with the objective of the said challenge, the participating teams were required to carry out the role of professional chartered secretaries and provide sound and technically correct advice to solve the problems from the case study given. 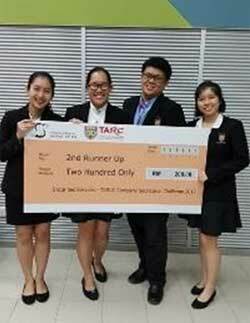 8 TAR UC Bachelor of Corporate Administration (Hons) students who took part in the competition were divided into two teams. All the teams were given 3 hours to prepare a comprehensive report and a presentation to articulate their corporate secretarial advices to the judges. 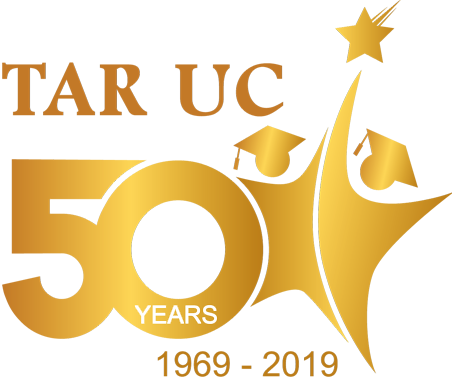 The presentations by the teams were judged based on the accuracy of technical advice, content of the reports, business acumen, the practical aspect of their business advices, presentation flow and eloquence. The Champion team who won a trophy and RM600 cash prize consists of Diong Chew Yuen, Rashwin Loke Yew Han, Look Chun Tat and Hii Gee Mei. Diong Chew Yuen shared that it was a tough challenge for her team to capture the first prize. ?It is no simple task to not only prepare a presentation but a comprehensive report about our secretarial advices for the case study. It was important for us that the process of our analysis was correct to ensure the answers we provided were correct and relevant. We also felt that it was important for our presentation to be presented in an understandable format which contains all the important facts. By doing so, we were confident of capturing the attention of the judges and the students who were present at the competition,? Chew Yuen explained. 2nd Runner-up team comprising Leow Ee Wen, Amanda Zi Yan Dass, Low Boon Tiong and Hong Jia Chi won for themselves a cash prize of RM200. The team also found it a challenge in providing sound secretarial advice when tackling the case study. ?Our ability to function well as a team was one of the main factors that helped us win the 2nd Runner-up placing. Each of us had a specific task to do in the challenge and this was where we learnt how to manage the time given to us effectively. On top of that, hats off to our lecturer, Mr Christopher Toh who shared his invaluable knowledge on the Malaysia Company Secretarial Practice by giving us extra classes prior to the competition. I personally am grateful for his dedication and support to his students especially in this challenge,? Ee Wen commented.